Why is a 6,000-year-old universe so hard to believe? Worldviews of naturalism, uniformitarianism and biblical creation; age of the Universe, age of the earth, dating methods, Carbon-14, biblical cosmology, fossils, sedimentation, creationist solutions to the starlight travel time problem and much more. The talks were recorded and are available here for online viewing. Click on the links below for video of audio/visual Powerpoint presentations. God has given us a clear history in the biblical account. Genesis Chapter 1, from a straightforward reading, describes the history of the planet Earth, the solar system and the whole universe starting not much more than 6000 years ago. This is based on the genealogies, the historical records of father and son, found written in chapters 5 and 11. Add these up and eventually you get to a point in history that is well-known and then you have an estimate of the time that has passed since creation. This exercise will only result in a history of about 6000 years. Then why is this so hard for many people to accept? The answer does not really lie with science. It is because most people believe anything they are told if it comes with the stamp of approval of science. This is actually scientism not science. It is a belief system, a worldview; a worldview that man’s knowledge through science has all the answers or that science ultimately will find all the answers. 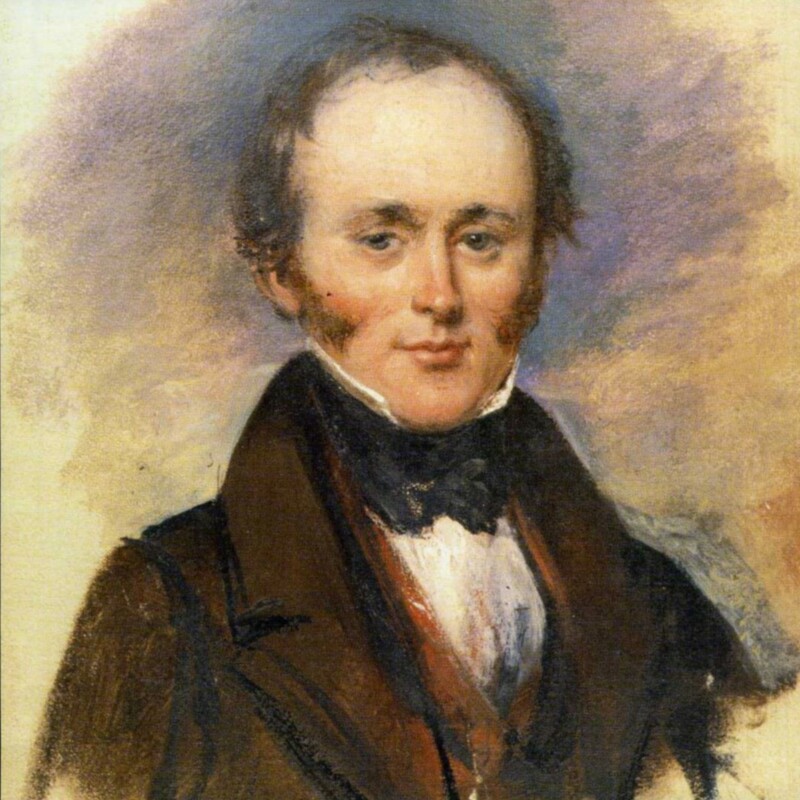 Charles Lyell at the British Association meeting in Glasgow 1840. Painting by Alexander Craig, from Wikipedia. In the 1700s James Hutton advanced the idea of long ages of earth history. Hutton observed in the rock strata (in the geology around him) slow and gradual changes in the present and extrapolated the idea over long periods of time (uniformitarianism); over periods of time that no man could have observed. Hence he developed the idea of deep time—that Earth had millions (which later grew to billions) of years of history. Charles Lyell extended these ideas and propagated them through his books. 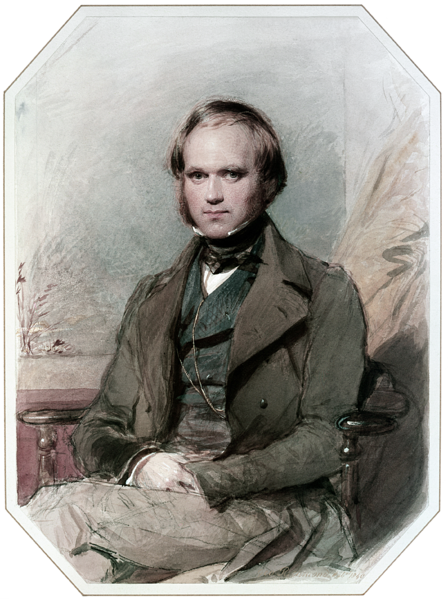 Charles Darwin in 1839 travelled on board the HMS Beagle, for 5 years, down to South America, taking a copy of Lyell’s book “Principles of Geology I”. This gave him the idea of the time, long time periods, he needed for biological evolution to change the simplest organisms into the complex over the needed millions of years. Deep time was all he needed. He supposed if we see small changes in living things all that was needed was lots of time and you could have big changes–which was his speculation now called evolution. But Darwin began as a geologist looking for evidence of millions of years in the rocks. Charles Darwin theorized about geology and the extinction of giant mammals while on board the HMS Beagle which surveyed the coasts of South America. Picture from Wikipedia. Eventually meteorites were found that were ‘dated’ as 4.55 billion years old. According to those dates they were older than any Earth rocks and therefore it is believed they must represent the age of the solar system. That age has remained essentially unchallenged. The worldview dictates what the evidence means. So as long as the worldview is held to be true the ages are never challenged. ‘Spurious’ ages are rejected as not fitting the nebula hypothesis for the formation of the solar system. As time passed more time was needed in the cosmos. Some globular star clusters were found to be older than the Galaxy and even the universe itself, according to the way their age was determined. In the cosmos a set of tenuous measurements were made that people would use to assign age to some object. These, like Hutton’s uniformitarianism, required unprovable assumptions. Astronomers looked at spiral galaxies and saw only ‘several hundreds of millions of years’ of age in the few turns of the spiral structure. Yet the big bang is believed (note, believed) to have initially produced all the matter of the universe. And all galaxies first started to form only a billion years after the big bang. Here was a contradiction. 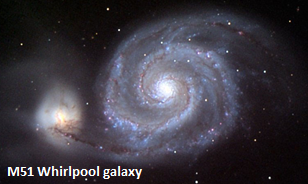 The observed galaxies must be at least 10 billion years old but based on their spiral swirls they are 50 times less than that. They appear not to have turned enough times since they first formed. The resolution was easy—we don’t understand how spiral galaxies swirl. This came in the form of the advancement of the density wave theory, which is supposed to solve this and save the 10-billion-year age of galaxies. But the belief system motivates the advancement of the theory. Not the other way round. Then it was noticed that comets are still entering our solar system. But if the solar system formed 5 billion years ago why are not all the comets used up? Comets almost evaporate approaching the sun and many are destroyed on their path through inner solar system. But the belief system—the worldview—to the rescue. It was proposed that because the solar system has been around 5 billion years, there must be some huge, yet unobserved, cloud of cometary material—called the Oort Cloud—way outside, but in a spherical halo around, the solar system. It is alleged that the Oort cloud has had sufficient mass to fuel the comets for all that time. Then after the speed of light was measured to be a large number, yet still finite, it was suggested that the universe must be truly old. How could light from the most distant galaxies travel some 10 billion light-years to earth since creation? How could the 6000 year history of the Bible still be true? They would argue that obviously over the passage of 6000 years, light could only travel 6000 light-years. After all that is the definition of a light-year, a unit of distance. See, this is not science. This is scientism. The mind is already set on a particular worldview and it is not the biblical worldview. By building one assumption on another they have developed a complex set of assumptions that masquerade as science. This paradigm generally goes unchallenged. When a challenge is made it is not by way of new observations but by a new interpretation of the evidence. Yet the same observations are totally consistent with the biblical timeline for the whole universe. There is no contradiction between the biblical history and what we observe. It is only in the mind of the unbeliever that any contradiction exists. 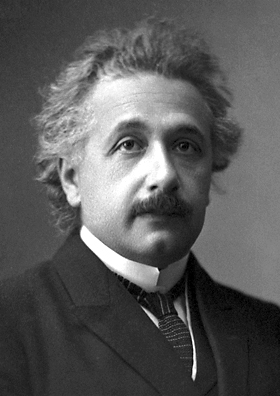 Einstein’s official 1921 portrait after receiving the Nobel Prize in Physics. Picture from Wikipedia. The key is at the heart of another problem, which was solved by Einstein—with his relativity theory. He correctly understood that time is not an absolute in the universe. The rate at which time passes is relative to the motion and position of the observer. Time is never the same for all observers. So to impose a notion on the universe that it must be billions of years old because light must take billions of years to get from the most distant galaxies to Earth is imposing a particular interpretation on the evidence. No human knows everything and all scientists have a worldview, a religious belief system. Only through that do they interpret the evidence they see. For science to claim as fact an assertion which is unprovable—namely how old something is—is pure scientism. This applies to geology, biology, cosmology; all forms of scientific endeavour. You might be looking at evidence, like, a fossil in a rock, or a meteorite, or hundreds of thousands of sedimentary layers (e.g. in Grand Canyon), or galaxies at very large redshift (large redshift supposedly implying great distance), yet none of these tell you how old they are. Only by applying a set of assumptions is an age determined. The answer to the title question is because mankind does not want to believe in a universe with a Creator who made it and them. This is because the Creator might require of man, who is truly wicked by nature (meaning he is selfish and desires his own above all else), a moral code that he does not want to live by. So to reject the Creator, mankind rejects the notion of the created universe, and instead says that it evolved by random chance processes and the laws of physics. That gets him off the hook, so he thinks. Those who believe in a Creator yet accept the worldview of scientism are acting irrationally. It would seem to me that they are ashamed of the Creator’s Words and choose to rely on the world to interpret what He plainly said. Download this article as a PDF tract.